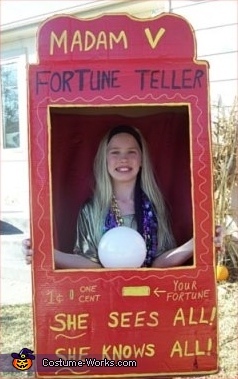 Fortune Tellers being popular this year, this is 9 yr. old Victoria. Victoria will have no problem seeing into your future. Her Crystal Ball lights up! Sent in by Mom, Sheri, from S.Dakota. This homemade costume for girls entered our 2007 Halloween Costume Contest.